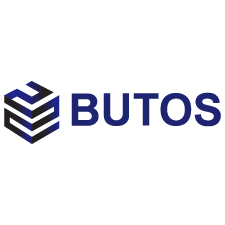 Butos Holding AG is a Swiss software and consulting firm for company pension plans and employee benefits for all kinds of financial services providers and organisations. Clients include companies that operate in Switzerland, Europe and all over the world. Based on the complexity of our software solutions, software developers need around 4-6 months training before they became productive. For this reason, low fluctuation rates are one of the most significant elements of our business. Therefore the efficient, straight-forward operating model with robust retention tools was one of the key reasons for choosing InterVenture as our strategic nearshoring partner. The Butos team in Belgrade works in an agile environment. Concretely we plan, execute and review together with our team in Wettingen sprints based on 2-weeks cycles. The development activities include software design and architecture of the new generation GPS futuriX application, development of futuriX services and clients with Java-based technologies, implementing security features to protect data and secure access to our services. We use Java Spring related frameworks for services implementation and Vaadin for implementing web client application. The relationship with our partner Butos is based on freedom and responsibility. It took some time to build full mutual trust, but this is normal, and now we all work on keeping and enforcing it on a daily basis.